Performer RPM Heads are direct bolt-on components for 1961-76 390-427-428 Ford engines. These are an NHRA accepted head for Stock and Super Stock Classes. They feature 72cc combustion chambers, are not port matched or bowl blended, and are designed for stock replacement valves. Rocker shaft stud kit 350-6009 provides better rocker shaft retention and is highly recommended for use with Edelbrock FE heads. It eliminates wearing of the threads and the possibility of bottoming the rocker shaft bolts in the head. NHRA legal Performer RPM aluminum cylinder heads for Stock and Super Stock racing classes. 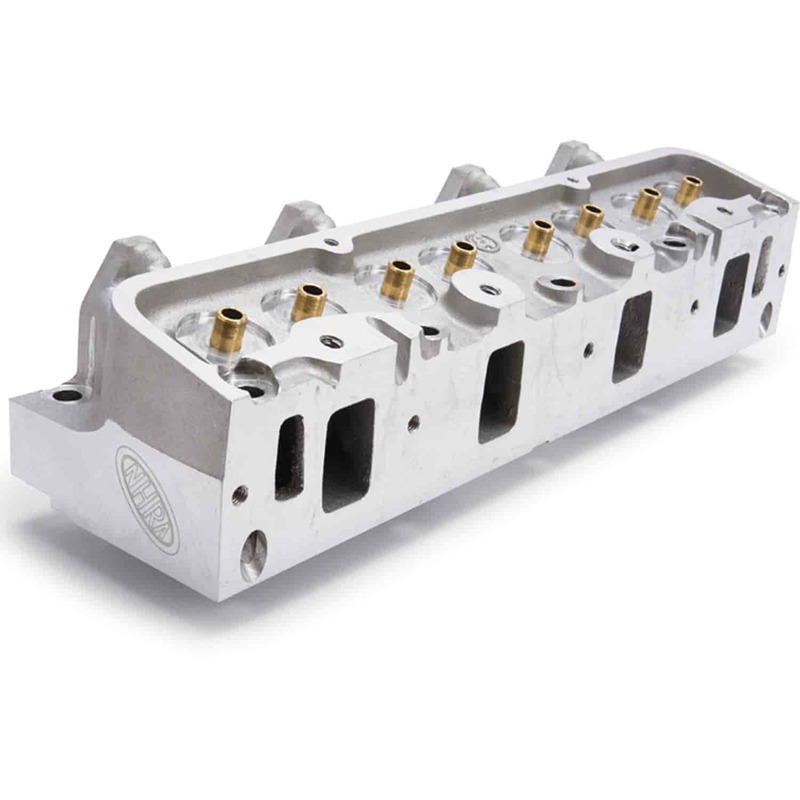 These heads are similar to Edelbrock RPM cylinder heads, however the NHRA Legal heads do not have any machining or hand grinding done on the ports & chambers, except for the seat guide bores. Heads feature the NHRA logo on the ends for easy identification. Heads are sold individually. Made In The USA!